Theme park are one of the most visited place of nowadays. Hundreds of people every years visit theme parks with their family or friends to have a great fun. This is the place where they forget about their problem and have a joyful time. People enjoy their time by riding swings, roller coasters and by celebrating many other events. Theme parks are always wonderful to visit. Every one of us has a childhood memories there. Your kids meet with their favorite cartoon characters at the theme parks. They also create their memories. Theme parks are awesome! Disney Park was the first theme park which was opened in 1955 and also the world’s most famous theme park. This is the summer time and parents can spend extra time with their children so take them to theme parks and have a memorable fun with them. Today, we have made a list most amazing amusement in the world. We have made this after doing a lot of research and we hope you will be agree with us but if you’re not then please tell us about this. Your opinion matter the most. Nine of the top 10 owned by Walt Disney company Enjoy the list of “25+ Most Amazing Theme Parks in the World”. Magic Kingdom theme park is located in Florida. It is the property of Walt Disney company. It was first opened in 1971. In 2015 20.49 million has visited this park which makes it the most visited theme for the tenth time in a row. Tokyo Disneyland is spread on 115-acres. Tokyo Disneyland was first opened in 1983, 33 years from now. 16,600,000 people has visited Tokyo Disneyland. Tokyo Disneyland consist of seven themed areas. California’s Disneyland is the oldest theme park of the world which was opened in 1955. In 2015, 18.28 million people has visited this wonderful and oldest theme park of the world. Tokyo Disney Sea was opened in 2001 with the cost of 335 billion yen. In 2015, it has been visited by 13,600,000 people. The theme park has been spread on 176 acres. It is owned by Oriental Land Company. Universal Studios Japan is located in Osaka city of Japan. This theme park consist of 4 roller coasters. The famous place in it is Jurassic Park. 13,900,000 people has visited this theme park in 2015. Epcot theme park is located in Florida. Epcot is an educational theme park which is owned by Disney. You can explore future and other countries at Epcot. 11,798,000 people have visited it in 2015. Disney’s Animal Kingdom was inaugurated on Earth day in 1998. It is the largest theme park of the world which is spread over 580 acres. The park has an artificial “Tree of life” in it. Disney’s Hollywood Studios is also located in Florida. It was inaugurated on May 1, 1989. The park has different movies zone it. You can visit the zone of your favorite movie. Disneyland Paris is commonly known as Euro Disney Resort. Last year 14,800,000 people has visited this theme park. Disney California Adventure was opened in 2001. The park is spread on 72-acres. Disney California adventure has seven themed areas called which they called districts. Annual attendance of 2015 was 9,383,000. Universal Orlando is a theme park which is owned by NBCUniversal, located in Florida. It is at number 11 in our list. It was opened in 1990. Islands of Adventure was opened in 1999 in Florida. The Islands of Adventure is divided into six different Island in which The Wizarding World of Harry Potter is the most visited and famous. Ocean Park is located in Honk Kong. The 226 acres theme park was opened in 1977. The park consist of 44 rides in which 2 are water rides and 4 roller coasters. Lotte World is the world’s largest indoor theme park. It has a shopping mall, hotels, Outdoor amusement park, sports facilities and movie theater in it. Hong Kong Disneyland is owned by the Government of Hong Kong and Walt Disney Company. It was inaugurated on 12 September 2005. More than 7,600,000 people has visit it in last year. Everland is the South Korea’s largest theme park which was opened in 1976 by Samsung. It also has an animal park in it. It is located in the city of Yongin, South Korea. Universal Studios Hollywood is not just a film studio but also a theme park. It was opened in 1964. Studio offers access of behind the scenes. Songcheng park is located in the Hangzhou city in the Zhejiang province of China. The theme park is a tribute to Song Dynasty Village. Nagashima Spa Land is the home of roller coaster. The giant theme park has 10 roller coasters in it. Steel Dragon roller coaster is the most amazing of them. Theme park is located in Kuwana, Japan. Chimelong Ocean Kingdom is located in China. It was opened in 2014. The theme park has 2 water rides and one roller coaster. 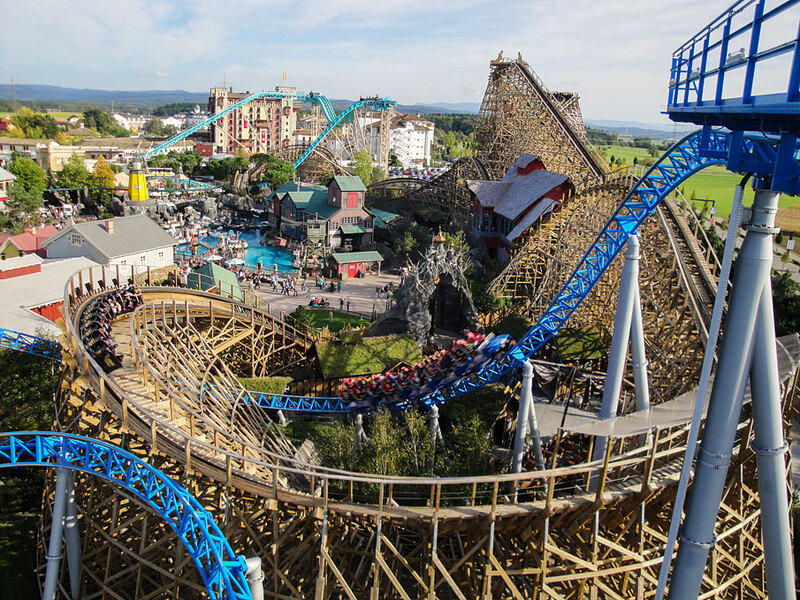 Europa-Park is the most popular theme park of Germany and the second in Europe. It was opened in 1975. The giant park has 12 roller coasters and 10 water rides. SeaWorld Orlando is famous for its nine killer whales show. It was first opened on March 21, 1964. It also has dolphins, penguins and many other shows. Tivoli Gardens is the second oldest amusement park of the world. It is located in Copenhagen, Denmark. It has all sorts of entertainments for its guests. Efteling is a fantasy theme park located in Kaatsheuvel, Netherlands. It is one of the oldest theme park of the world. It was first opened in 2002. More than 4,260,000 people has visited this park in 2015 which make it the world’s 25th most visited theme park. We hope you have enjoyed our list. Now please share it with your friends and let them know about this list too. Check out our other interesting lists too.